nice. now we need the 24 Lead In Fighter Trainers to go with them and the air academy is "relatively complete". 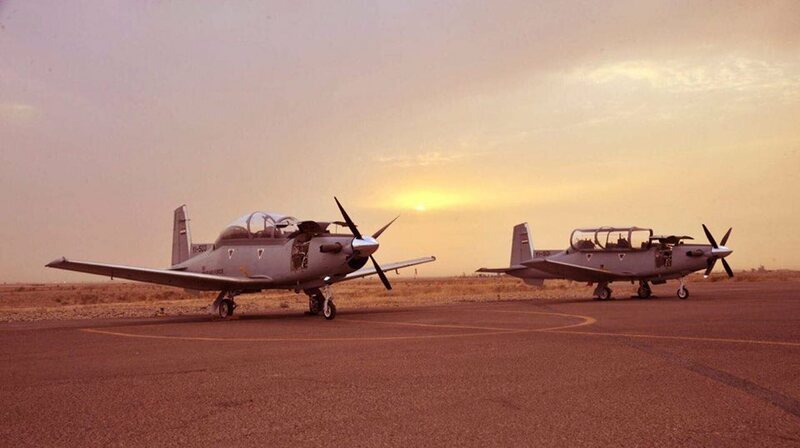 Iraq air force officials took a step closer to self-sustainment after hosting their first T-6 Texan trainer aircraft program management review at New Al Muthana Air Base just days before a historic instructor pilot flight. The conference held March 17 brought together more than 30 representatives from various U.S. and Iraqi government agencies including the U.S. T-6 Program Office, U.S. contractors, the Air Force Security Assistance Training Program Office, the Air Force Metrology and Calibration Program Office, Iraq Security Assistance Mission, Iraq Training and Advisory Mission, and the Iraqi air force functional and squadron leadership. "Every requirement was thoroughly discussed with a total understanding of what was required to meet the mission objectives by both the U.S. Air Force and Iraq air force," said Maj. John Creighton, the Iraq Training and Advisory Mission - Air deputy director of aircraft maintenance. 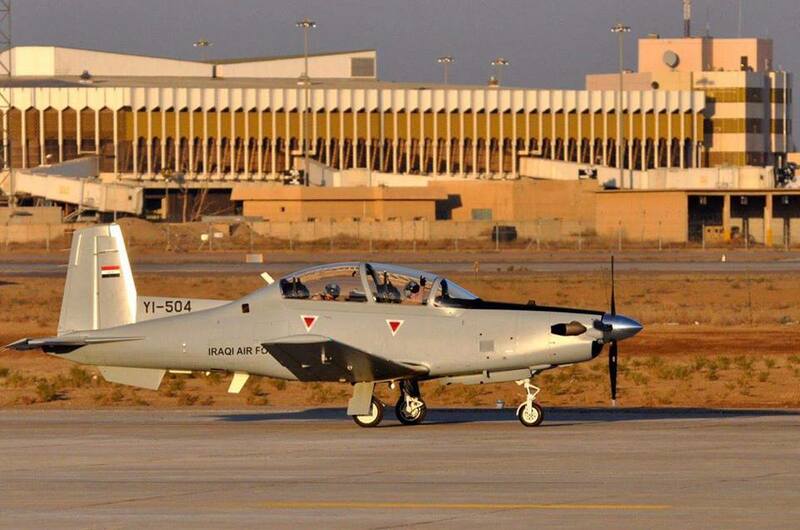 "The Iraq air force and the T-6A program are well on their way to leading the country in the fulfilling role of developing Iraqi pilots and maintenance technicians." 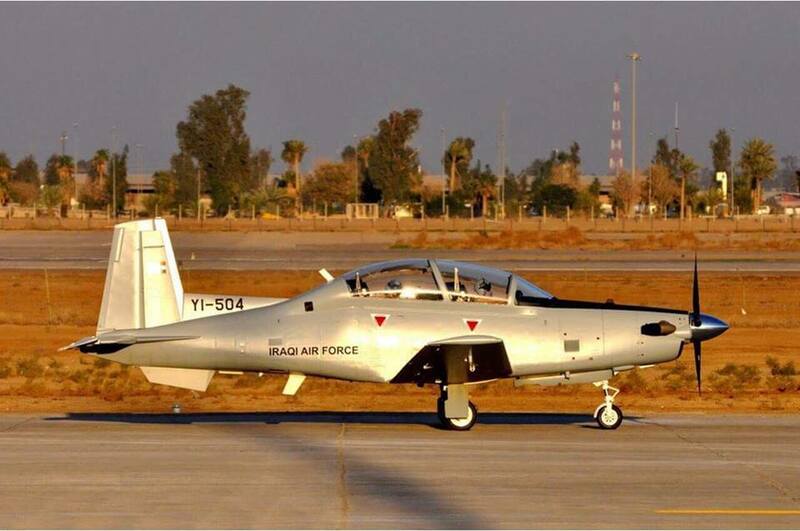 Iraq air force officials planned and led the agenda to discuss the support and sustainment needed for the T-6 aircraft in Iraq. The discussion covered a myriad of training issues to include: pilot flight hours, aircraft maintenance, logistics and supply, precision measurement equipment and several other required support functions. "We discussed Iraqi leadership expectations, future sustainment planning and operational and maintenance training requirements," Creighton said. 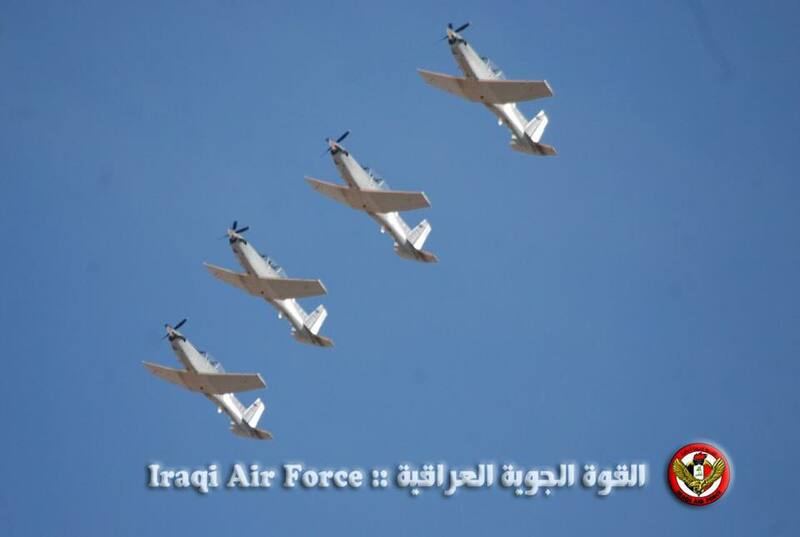 "Our efforts clarified plans and requirements for future Iraqi air force training and operational developments." 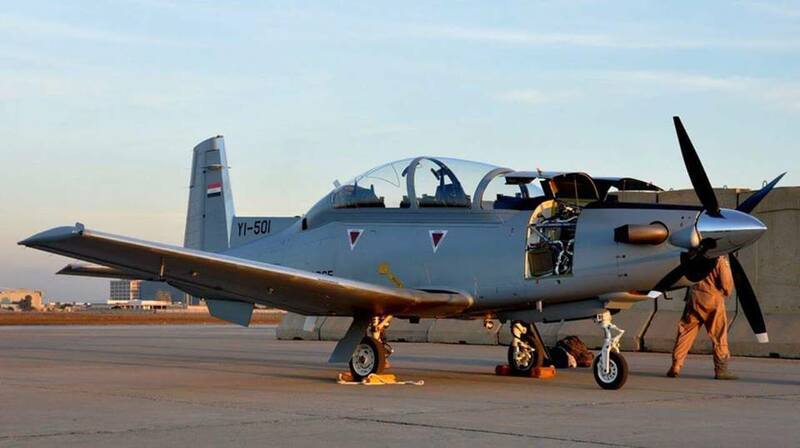 Just a few days after the conference, the first Iraqi air force instructor pilot to graduate from the 52nd Expeditionary Flying Training Squadron at Tirkrit Air Base, Iraq, Lt. Col. Hamid Hussein, flew his first official training mission with an Iraqi student pilot in a T-6. There are 18 Iraqi students enrolled in flight training, and Hussein hopes to train 30 T-6 instructor pilots. This train-the-trainer goal would enable the Iraq air force to sustain flight training long after the scheduled U.S. transition out of Iraq in December. 9/27/2011 - CAMP SPEICHER, Iraq (AFNS) -- "Iraqi air power starts here," are the words written above the doorway of the Iraqi air force's Squadron 203, a T-6A Texas II flight training squadron at Tikrit Air Base, Iraq. The words ring true, in part, because of the efforts of the U.S. Air Force's 52nd Expeditionary Flying Training Squadron, which flew its last Iraqi training mission under the current security agreement with Squadron 203 Sept. 5. 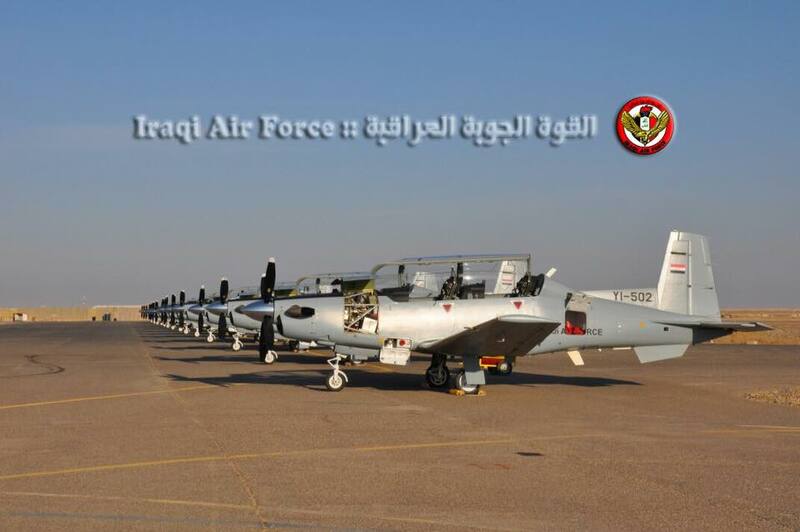 Eleven qualified Iraqi T-6 instructor pilots have emerged from the joint program, creating organic pilot training capabilities within the Iraqi air force. 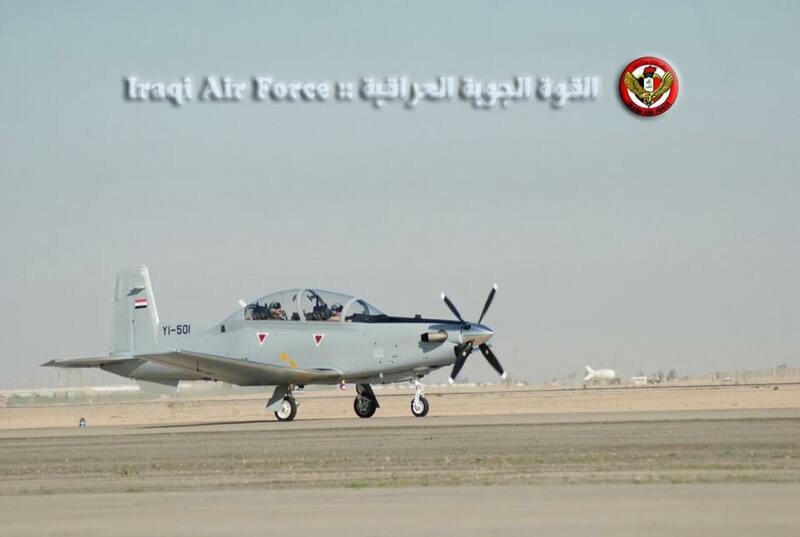 "They are the foundation of the Iraqi air force pilot training," said Lt. Col. Andy Hamann, the 52nd EFTS commander. 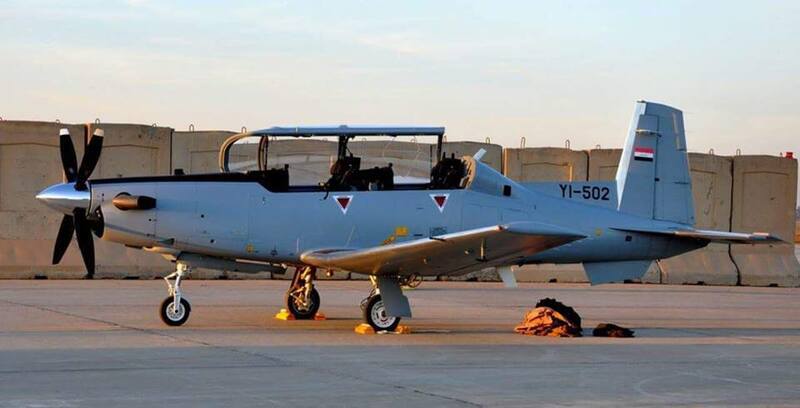 Airmen from the 52nd EFTS have been working with the Iraqi air force for the last 21 months in the T-6, conducting primary flight training and instructor pilot training. The single-engine, two-seat T-6 is used by more than six countries as a primary fixed wing trainer, including the U.S. Air Force and U.S. Navy. The squadron received delivery of their first T-6 Dec. 16, 2009 and performed their first mission two weeks later. 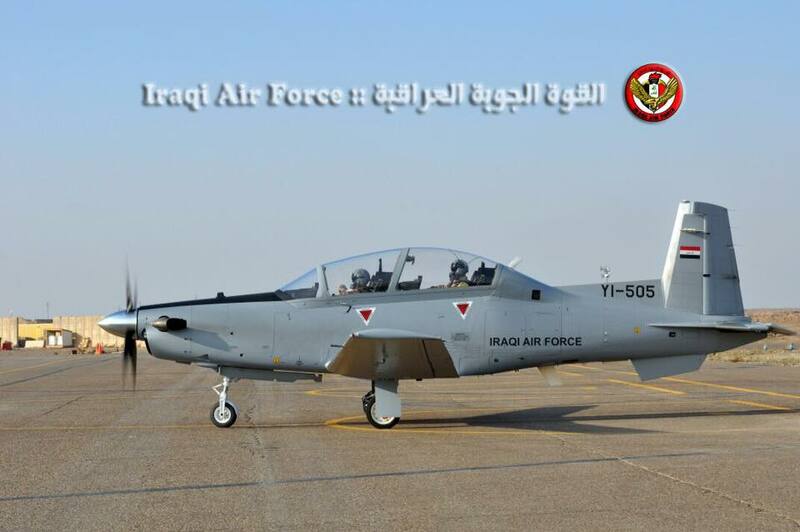 A little more than one year later, Iraqi air force Lt. Col. Hamid, the Iraqi Squadron 203 commander, became the first fully qualified instructor pilot for Iraq. It takes nearly 18-months and more than 280 flight and simulator hours to produce an instructor pilot. Now, the squadron has 11 fully qualified instructor pilots ready to lead their air force by teaching others. Starting with nothing, the Iraiq air force has developed fully functional training shops ranging from training, standardization and evaluation, safety, flight commanders and life support. "They've really stepped up to the challenge of running their own squadron," said Capt. Aaron Knight, an instructor pilot. "They're shining examples of good pilots and good officers. I'm extremely impressed with the maturity they have shown." The flight standard that has been set is another aspect of the mission the advisers said they have worked hard to maintain. "The standard we've held here as we trained the Iraqis is the same standard we use in our Air Force pilot training as well as the instructor pilot training," Hamann said. "I'm confident they are able to take this mission." 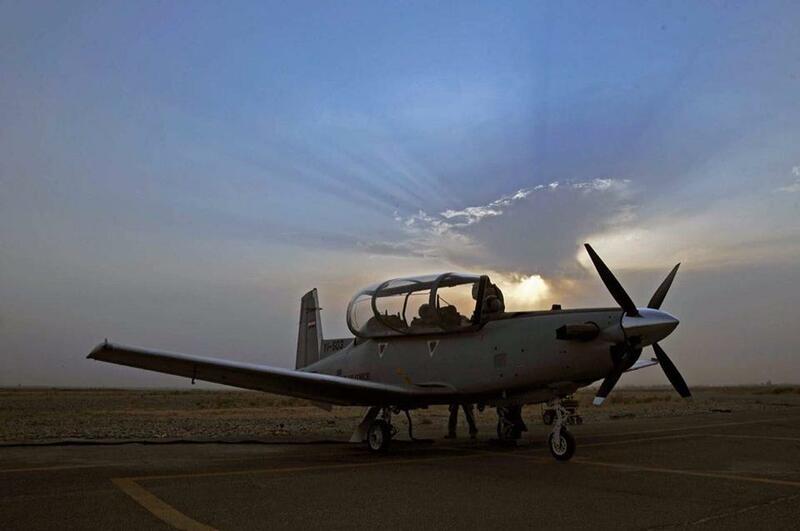 At the Iraqi air force T-6 instructor pilot graduation ceremony held on Sept. 5, Hamann said, "I hope that in the skies around this region and around the globe, our two air forces . . . and our pilots will fly together in missions beyond the training missions we are doing here; potentially humanitarian assistance missions and peace keeping missions in cargo aircraft, coalition operations and training exercises in fighter and mobility aircraft and as well as other missions." In addition to their mission advising, training and assisting the Iraqi air force to grow foundational and enduring capabilities in flight training, U.S. Airmen have established enduring professional and personal relationships. with their Iraqi counterparts. "What I'm most proud of are the relationships this squadron has built together," Hamann said. "We've had more than 50 individuals come through the 52nd EFTS over the last two years to train the Iraqis. The camaraderie on the flightline, in the briefing rooms and in the life support areas is really strong." Ten more students are in the training pipeline now, and possibly 15 to 20 more will be by the end of the year, officials said. The goal is to eventually have 30 instructor pilots, two for every T-6 aircraft in the inventory. "I've had a good experience working with the 52nd training squadron and learning from the expert American pilots," said Iraqi air force Abood, one of the first certified Iraqi instructor pilots. 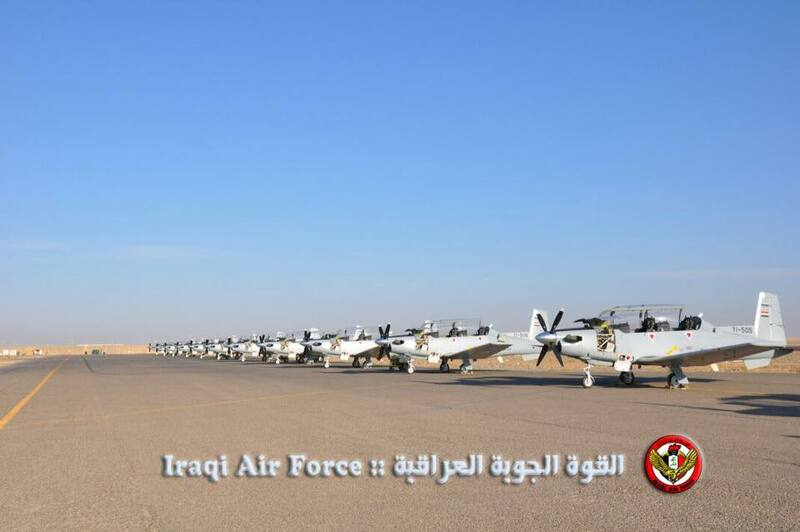 "(Now) I will try to transfer what I've learned to the new Iraqi training pilots. We will always keep the bar up. Our goal is to help build a strong air force and I think the beginnings of that will happen at Squadron 203." The article is confusing, the images posted clearly show the T-6s are active! Maybe it's a general overhaul before the start of F-16s in country training!